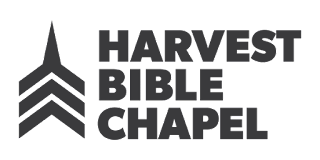 ■ The Daily Herald: The church has cut weekly operational spending by about 25 percent. ■ Slate: The pope’s refusal to let people kiss his ring spotlights Catholicism’s culture wars. ‘Jussie has paid enough.’ Lawyers for Jussie Smollett have indicated they have no intention of honoring Chicago’s demand for $130,106.15 to compensate the city for its investigation of a hate crime police say he concocted. ■ Read the city’s letter to Smollett (PDF download). Time to vote. The election’s Tuesday, in Chicago and the suburbs. 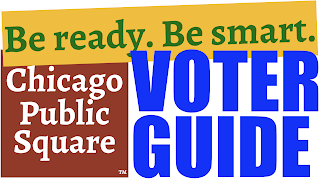 If you haven’t decided yet how to cast your ballot, you’ll find everything you need in the Chicago Public Square voter guide. Spend the weekend studying up. ■ When mayoral candidate Toni Preckwinkle—now the Cook County Board president—laid off hundreds in 2017, the Trib reports, one politically well-connected worker was spared. ■ The Trib recaps six key moments in TV debates between Preckwinkle and Lori Lightfoot. ■ … and the owners of businesses listed are dealing with the fallout. ■ A new campaign in Illinois is pressing Wendy’s to join McDonald’s, phasing out antibiotics in the beef supply. The 737 MAX ‘scandal.’ Vox: It’s worse than just bad software. ■ Ars Technica: But it was partly software. Lights down, Chicago. To mark the annual Earth Hour environmental awareness event, downtown will be darker than usual Saturday night. ■ What you can do. ■ … and about healthcare, the Russia investigation and the 2016 election. Meet the new boss(es). The Chicago Sun-Times is getting a new ownership lineup—courtesy of the Blackhawks’ owner and a Mayor Emanuel pal. ■ The Tow Center for Digital Journalism: News outlets are doing a lousy job of saving their digital work. An honor just to be nominated as a finalist. 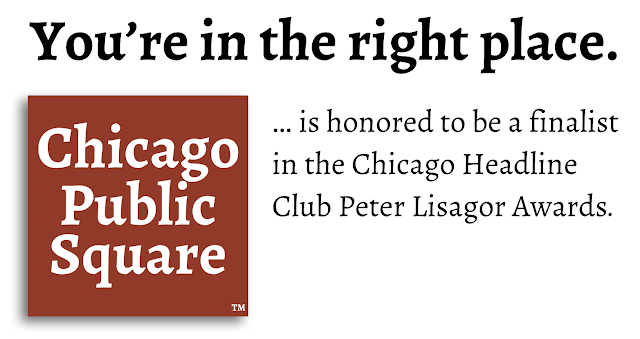 Square is up for two prizes in this year’s Chicago Headline Club Peter Lisagor Awards—including best podcast. That wouldn’t be happening without the support of readers like you.